When I was tak-chek-ing (studying) and had lots of free time, I used to come Dan Ryan’s all the time. The lunch menu was cheap and fabulous. I went the other day with my taitai friends. (Ah Beng and two taitais). And I was what went wrong? but the waitress showed my friend to another booth seat. 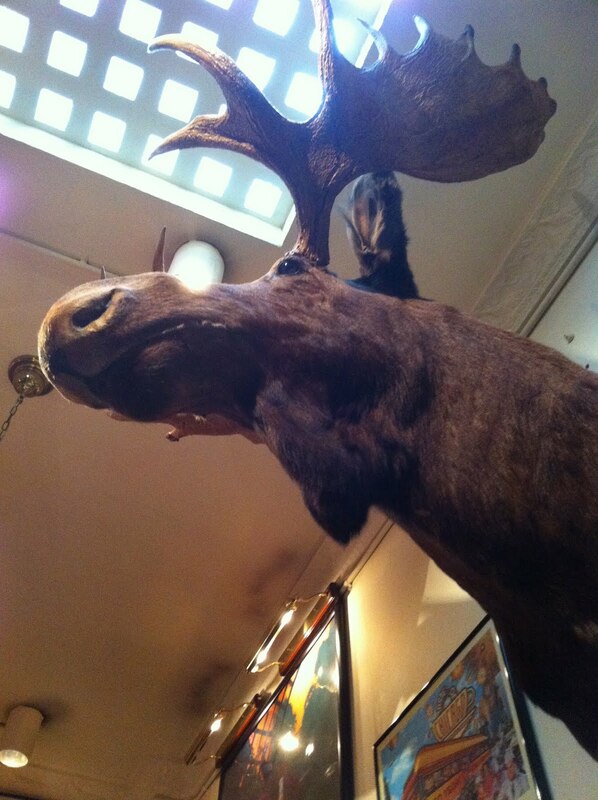 Which was fine, because I wasn’t picky, and they shifted us to the moose seat. Then the waitress kept clearing our plates when one of my friends hadn’t finished her food. I know why waiters in general are so keen to clear our table, so that we can leave the restaurant. It makes me feel like I’m rushing to finish the next course, and it makes my slow-eater-friends embarrass. Recently, many waiters in restaurants that I went are doing that: Grandma’s, Garibaldi, etc. Other than that, the service was good. 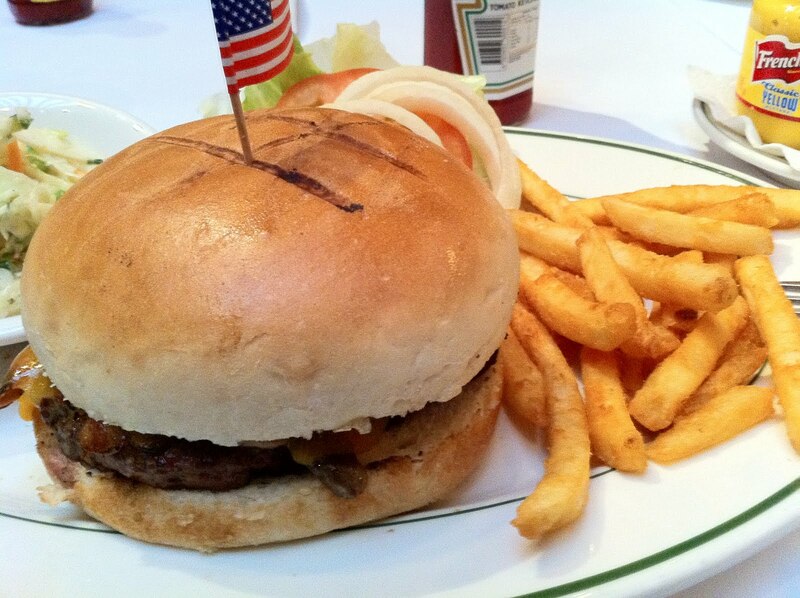 I ordered the Dan Ryan’s burger ($16.50++), as usual, because I still cannot afford the $80 steak. The waitress asked if I wanted it medium-well-done or well-done. A piece of information: steaks are best medium-rare but since burgers have patties, and it isn’t safe to eat rare patty, always order medium for burgers. So I asked, “Medium,” and the waitress said they only serve the burgers medium-well-done or well-done. This was very strange to me because I always have medium for Dan Ryan’s burger. When it came, I knew why. The burger wasn’t even a patty! If I didn’t remember it wrongly, it used to be a patty but now it is made up of scrap meat that they cut off from the steak. Probably tough meat or not-so-fresh, and so it needs to be cooked thoroughly. And to top it off, the burger didn’t even have enough meat to cover the bun. While the vegetables were fresh, the bun wasn’t soft. Quite unacceptable for a restaurant of this standing. “Desserts belong to another stomach,” has always been my philosophy. Always have dessert. So I wanted the brownie (because it was so orgasmic last time) and my friends wanted the warm chocolate cake…so I said, “aiya, don’t need to make a choice lah..order both lor..” (each about $10, the portion is huge enough to be shared). BIG MISTAKE. 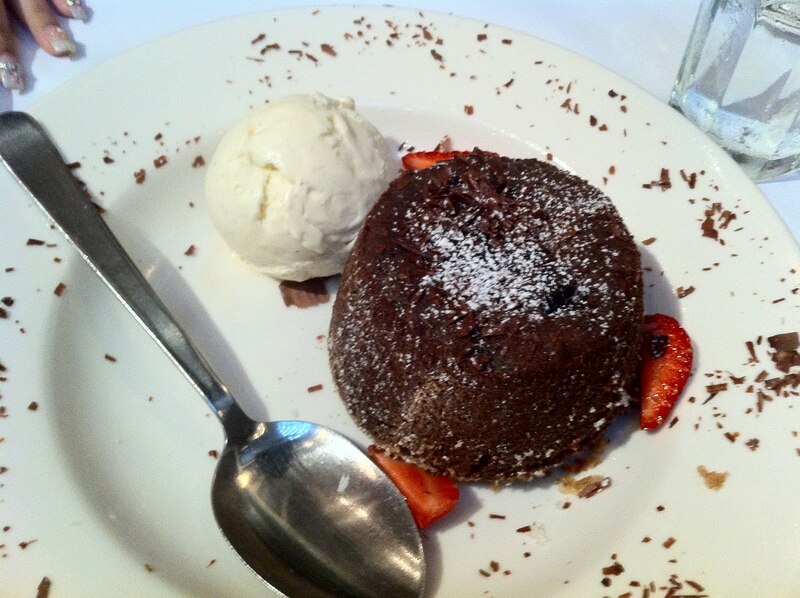 The warm chocolate cake was excellent because the chocolate syrup inside was pipingly hot, you could see the steam from it. But I really can’t tell the difference between the brownie and the cake. I mean, yes, the cake was less dense than the brownie but essentially, they tasted the same. It’s like they used the same batter for both desserts. 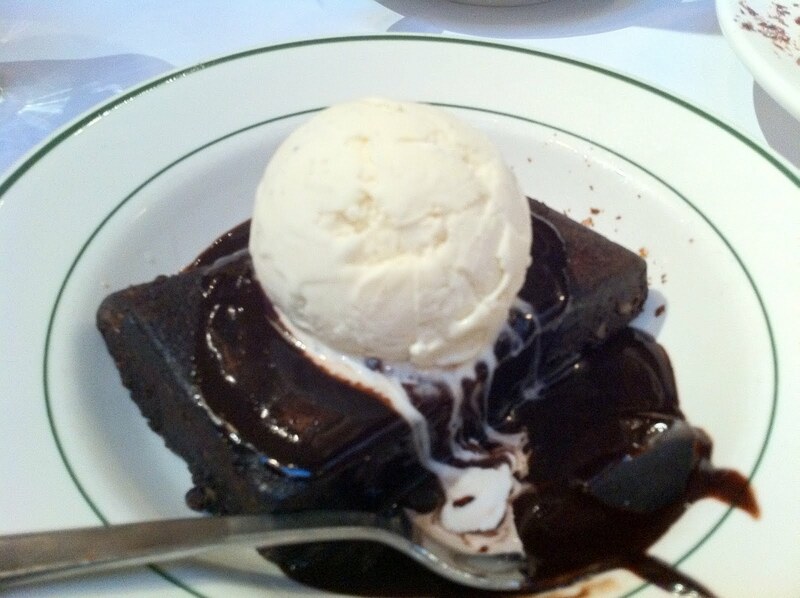 By the way, the brownie was no longer orgasmic as the past. In the past, I remember it being so chocolatey, now I think I can make better brownie from those pre-mix. Good ambience, quiet and nicely decorated like a redneck’s house. Polite service. But the food has really gone to the dogs. Buck up, Dan Ryan’s. You used to be my favorite lunchtime restaurant.